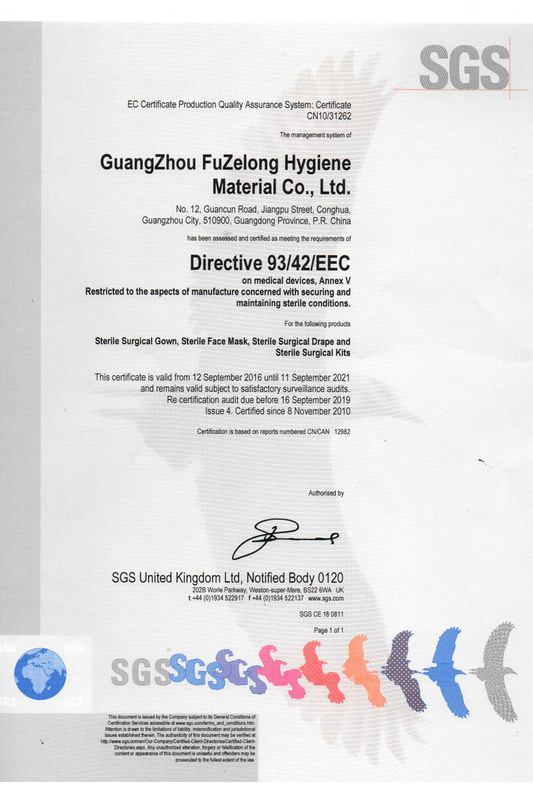 Company Overview - Guangzhou Fuzelong Hygiene Material Co., Ltd.
Guangzhou Fuzelong Hygiene Material Co., Ltd.
5YRSGuangzhou Fuzelong Hygiene Material Co., Ltd.
Guangzhou Fuzelong Hygiene Material Co., Ltd. and Conghua Puyuan Health Articles Factory specialize in producing, processing, and marketing medical disposable non-woven products and protective appliances. Our company is located in the north of the city of Guangzhou, on national highway 105, 10 kilometers from Jingzhu highway and 45 kilometers from Guangzhou's BaiYun International Airport. Our company has 8700 square meters of production area, of which 900 square meters is for a 100,000 class clean room and 2000 square meters is for a 300,000 class clean room. We have advanced ultrasonic face mask machines, 150 sewing machines, and complete sterilization equipment. We are able to provide client-customized products. Ever since the establishment of the company (registered trademark PuYuanhave) fifteen years ago, we developed plenty of superior techniques and much professional administrative experience. 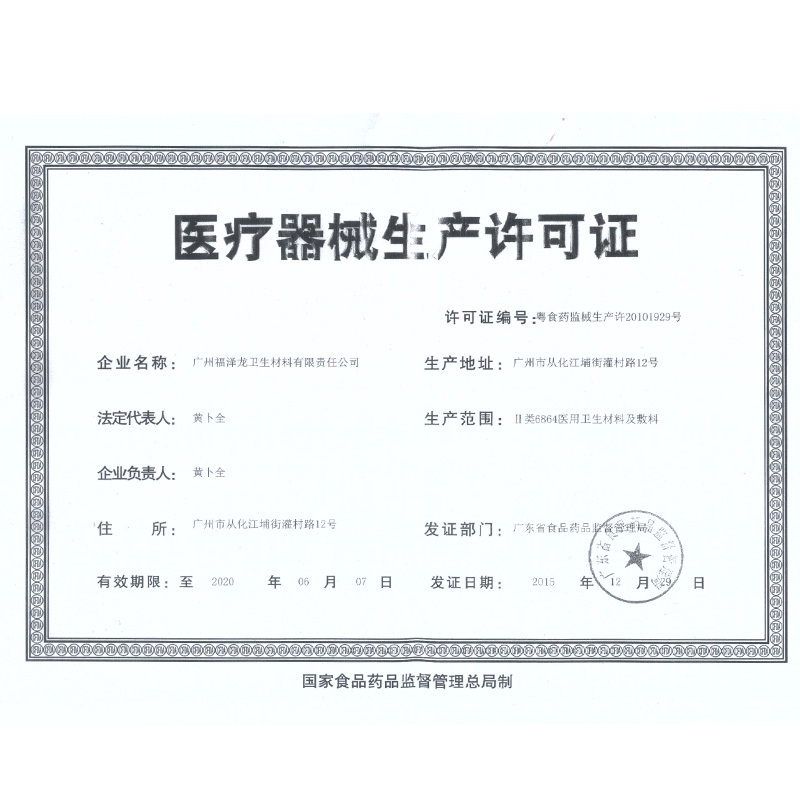 Through the efforts of the whole staff, we have obtained the ISO 13485:2003 Quality system certificate and CE certificate. Our products have also passed EN14683 and EN14693 tests many times. Now these products are popular with both domestic and foreign customers, and we have received compliments from them.Currently our annual capacity includes 300 million disposable face masks (medical or protective use), 50 million high efficiency N95(P1,P2,P3) face masks, 3 million sterile surgical gowns, 2 million surgery cloth packages (includes bed sheet ,sterile drape and surgery bag), and 2 million various protective gowns. In addition, upon clients' requests, we can produce isolation gowns, lab coats, leisure coats, aprons, mushroom caps, doctor's caps, nurse's caps, bouffant caps, shoe covers, slippers, storage bags, handbags, etc.The principles of our company are elaborate planning and "scientific administration". By purchasing high quality material, applying advanced techniques, and controlling production, we will continue to improve the quality of our products and increase our clients' satisfaction.Ni Hao! 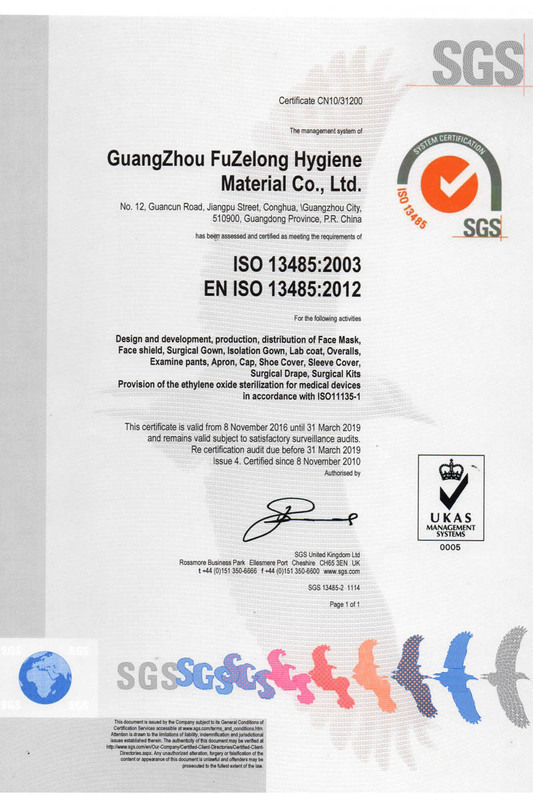 Welcome to Guangzhou Fuzelong Hygiene Material Co., Ltd. and Conghua Puyuan Health Articles Factory. We are always pleased to communicate and cooperate with you.